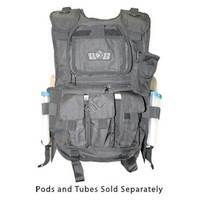 Tactical vests can be as light duty or as heavy duty as you want. 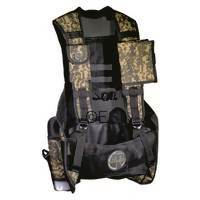 Pick your vest by the features most important to you, the player. Determine how much paint you want to carry. How much air will you need to shoot that paint with the marker you are using? Where is the weight comfortable for you? 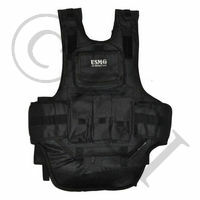 How much extra gear will you be carrying (grenades, maps, etc.)? 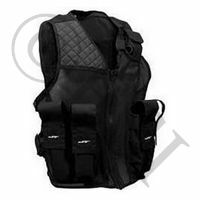 Answer these questions for yourself, and you’ll be on your way to deciding what type of vest you want. Then you just need to pick a color!
. 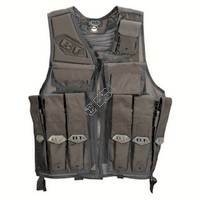 BT (Battle Tested) Battle Vest GenX Global Tactical Vest - Black . 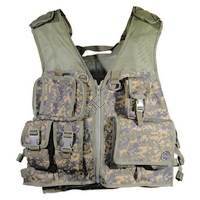 The NX-TH41 is the next level of tactical excellence. Incorporating style, function, and durability into one lightweight fully-loaded carrying solution, the TH-41 is the ultimate choice for the scenario player seeking advanced performance. .